An EarthApples favourite! No garden or dinner plate should go without a colourful splash of Purple Magic! This beautiful smooth skinned purple has a distinctive white ring on the inside making it very unique. 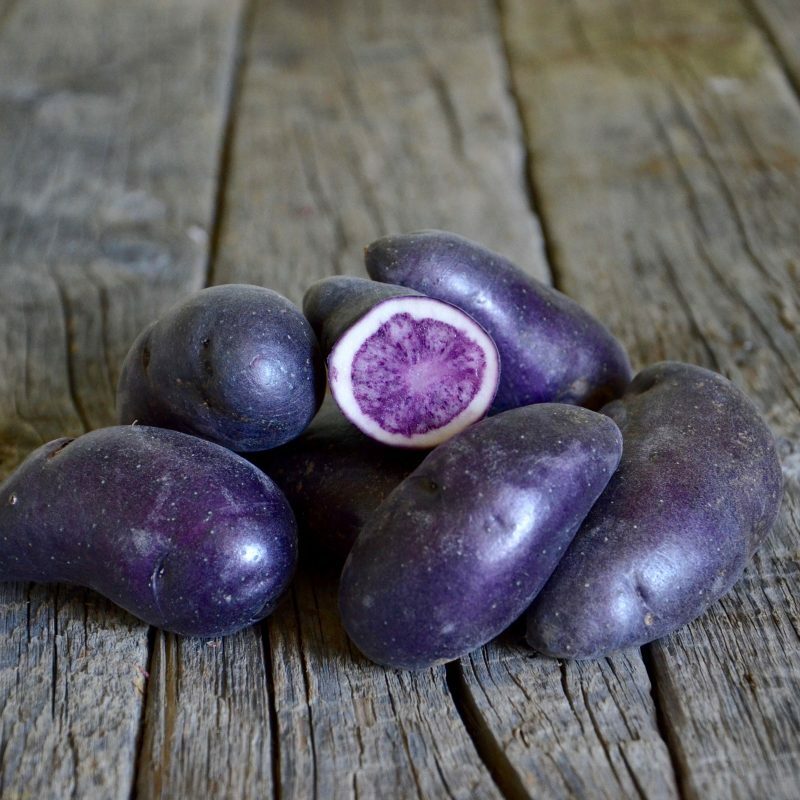 Purple Magic produces high yields of medium sized tubers. It works great in potato salads, oven roasting, and is suitable for home-made chips! Purple Magic is a mid-season maturing variety. Plant this variety in mid-May for a late August/early September harvest. 90-105 days till maturity. Space 30 cm (12”) apart. It grows well in gardens and containers alike. Add nutrients/fertilizer at planting time. 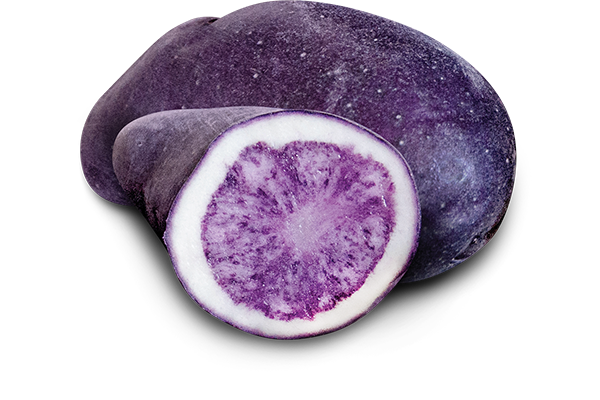 Purple Magic is quite a versatile potato suitable for different applications. It has a slightly dry floury texture with a great taste (not bitter like some purple varieties). 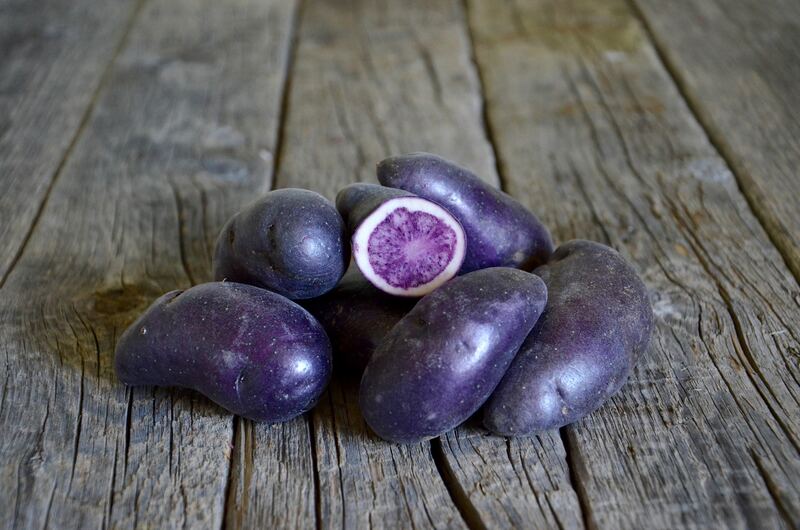 This variety works well for home fries, roasting, chips, or in a colourful potato salad. Purple Magic holds its colour well after boiling, roasting and frying. Approximately 5 months at 6 degrees Celsius.